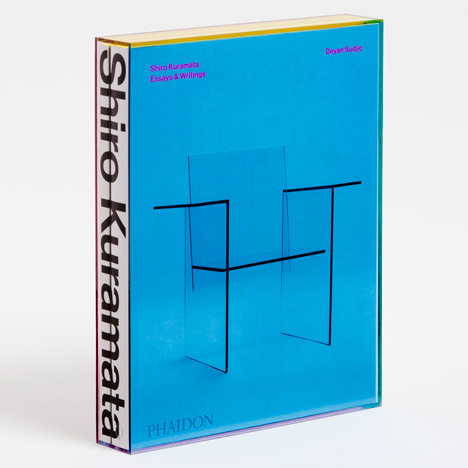 Dezeen promotion: design brand Luminaire will stock art and design titles published by Phaidon at its showroom in Miami, beginning in December to coincide with Design Miami collectors' fair. Luminiare is launching a new partnership with British publishers Phaidon next month, when it will start stocking the books in the Luminaire Lab. Visitors will be able to sit and read the publications in a dedicated seating area inside the space. The partnership will be launched during Design Miami, at the Design+World 2013 event on 5 December taking place in the Luminaire Lab, 3901 NE 2nd Avenue, Miami, Florida - RSVP to attend here. Luminaire is proud to announce a partnership with Phaidon, the world's premier publisher of books on the visual arts. The partnership is a meeting of the equal belief that we must celebrate the creative, and democratise access to design and design education. Phaidon books will have its own section in the Luminaire Lab with some seating, to create a reading environment for all visitors to enjoy and engage with the texts. Based in London, Phaidon Press publishes books worldwide from a range of creative topics, including art, architecture, photography and design. Phaidon is also recognised for its award-winning Collectors Editions - luxuriously packaged, limited editions of books, usually with a signed print or specially-commissioned piece of art. Luminaire is excited to launch this partnership as part of our third instalment of Design+World during this year's Art Basel/Design Miami event. We invite everyone to stop by on 5 December, and experience good design up close.